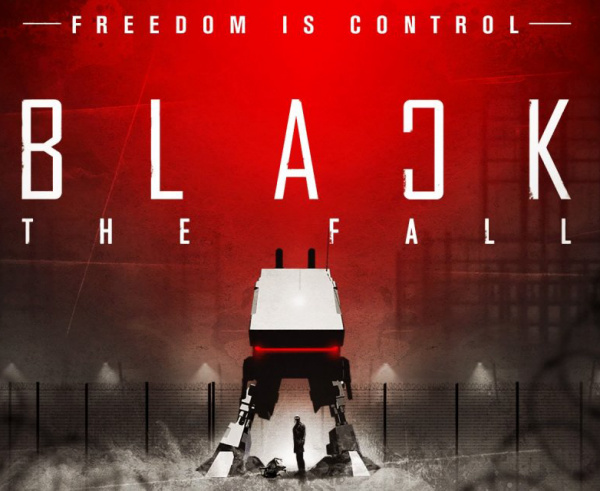 Inspired by Romanian communism and '90s sci-fi universes, Black The Fall is an atmospheric puzzle-platformer developed by Sand Sailor Studio – a Bucharest-based independent game company that was originally founded in 2014. The concept came about as a way to express rebellion against the mechanisms of a heavily corrupted system, rooted within decades of communism. 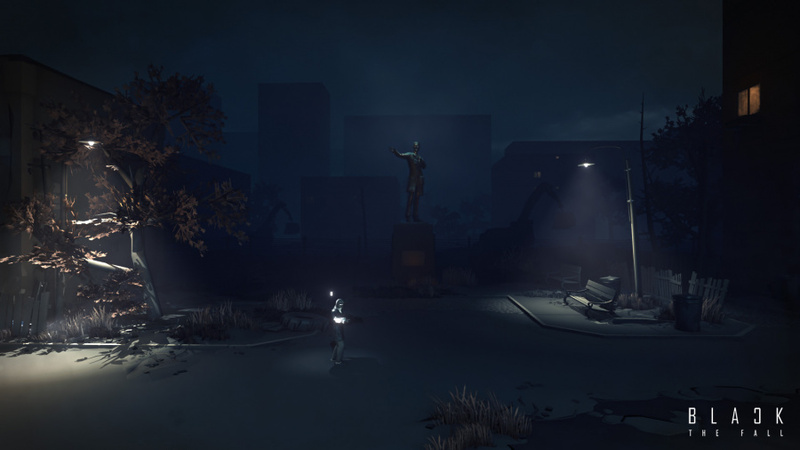 As the team behind the title realised how much there was to show about a communist mentality – including themes of distrust, dehumanisation of the work environment and uniformity - a platform game featuring puzzle elements was decided upon, as it would be able to best illustrate what it is like to survive under such a restrictive regime. Drawing from real life cases where there was no freedom of speech, intellectuals were being jailed and tortured, food was rationed, access to western culture was minimal and contraception was not available, Black The Fall may sound like George Orwell’s novel, Nineteen Eighty-Four. According to the developers, however, sadly this is the harsh reality of most communist countries. As the studio explored this path further during development it became apparent the oppressive themes could also be applied to the modern state of the western world – where conformity is apparently alive and well and people feel trapped within a system they have no faith in. 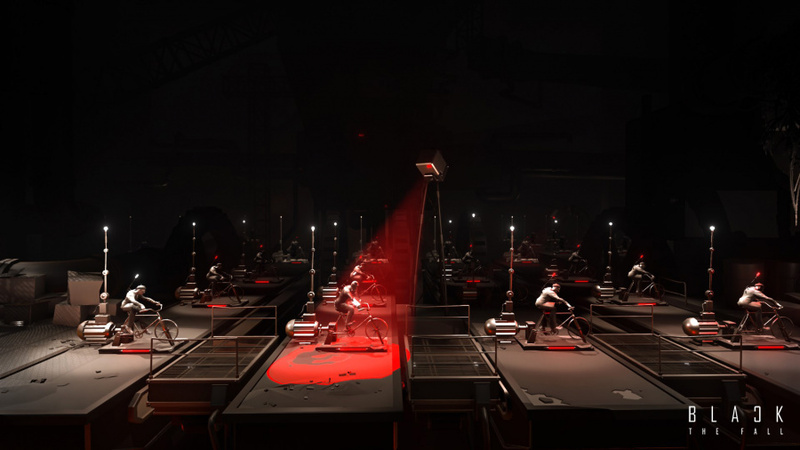 The aim of Black The Fall is to offer an alternative course of action, providing the player with a chance to outsmart the system and be free of it once and for all. Starting off in an overcrowded and dimly-lit cell, the character you control is essentially just another number in the system. 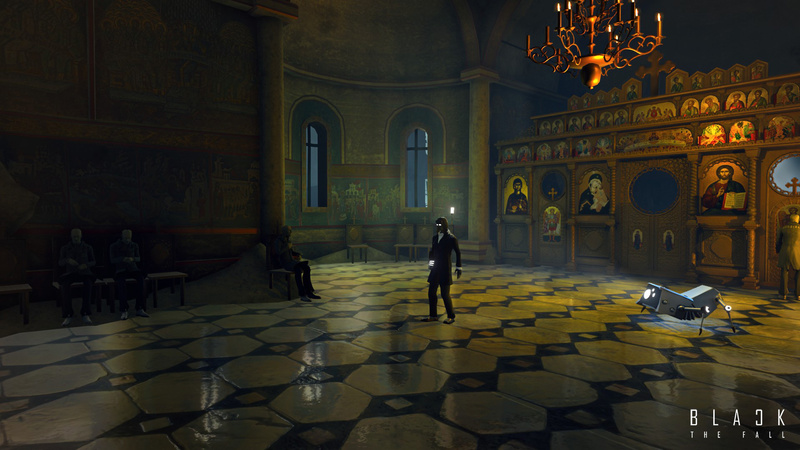 Black The Fall is very much a visually-driven narrative from the beginning. With no explanation about the character or the bleak surrounding environment, you must assess the situation at hand in an attempt to escape. This rather short title is divided up into chapters, with each one made-up of a series of screens featuring puzzles that must be solved. The platform elements add a sense of thrill to certain moments. There is a lot of trial and error, much like Playdead’s releases LIMBO and INSIDE. However, failure is not that great of a concern, as you are simply reset back to the start of the puzzle every time you do not succeed. Death is commonly delivered by robot or by falling off a ledge into the darkness below. When you are not sneaking past guards or evading robots on patrol, most of your time is spent solving puzzles. These can be as simple as locating a valve to turn off a gas pipe halting your progress, to using several gear mechanisms in order to activate a device. Observation and experimentation are key parts of solving puzzles and progressing. 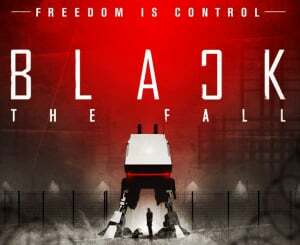 Despite working within the restrictions of what is essentially a linear platform game, Black The Fall does a satisfactory job at providing a series of puzzles that require you to actively think about how to approach each and every situation. Early on in the game there is a guard you must pass without being sighted. Provided you are patient, eventually there is a bit of a mishap processing the workers, and this gives your character a window of opportunity to run past without being caught. It is sequences like this that encourage you to stop and process what exactly is going on. Admittedly, though, this is a much slower-paced game compared to your average platform title because of its incorporation of puzzles. Not far into the game your character acquires a designator tool that can be used to manipulate both man and machine. This gives a lot of the puzzles an extra layer of depth as you find yourself commanding workers in order to help the main character progress. This is not your only tool of assistance. About halfway into the game you’ll befriend a lonely lost robot and earn its companionship. Much like the designator tool, this robot will help the character progress in certain situations. He can give you a boost, or jump up on objects to activate mechanisms. The introductions of the special device and robot friend ensure the puzzling stays fresh from start to finish. Both also manage to keep the platforming aspects of the game relevant. As enjoyable as a lot of the puzzles are to solve, the downside to Black The Fall on the Switch is its sluggish pace. This is particularly apparent during platform sequences, but even the puzzling suffers. When performing actions like activating a device, running and jumping there is a bit of a delay between the button input and on-screen action. A lot of these problems are tied to the framerate – requiring you to be timelier as well as more precise when executing certain actions. On other platforms this appears to be a much smoother experience. The mapping of the controls is also less than adequate and can occasionally result in confusion when trying to perform actions at a speedier pace. The only other problem with Black The Fall are the visuals. The oppressive atmosphere perfectly captures an Orwellian society, as does the industrial presentation of each environment and the communist regime on display throughout. The issue is how inferior the visuals appear to be on the Switch. As appropriate as the design is, there are too many bland and jagged models on display along with poor lighting effects. What’s worse is that the performance is for most parts no better for it. The handheld mode seems to manage the game slightly better, but it is still not exactly easy on the eyes. 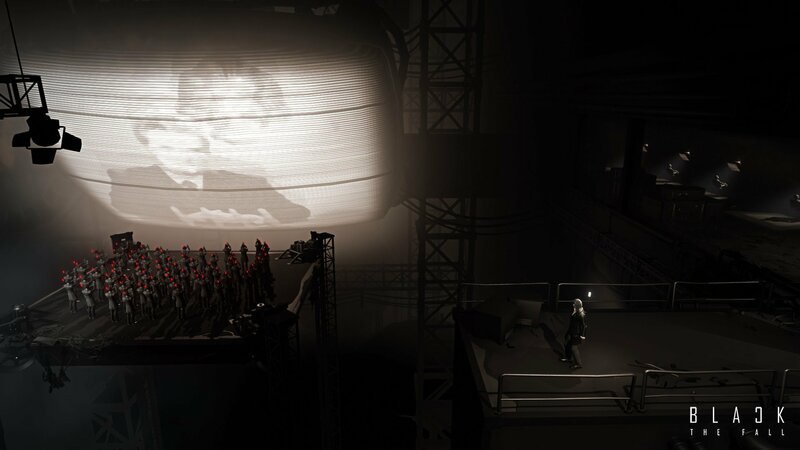 The inspiration behind Black The Fall should be enough to draw an audience. The problem is, if you were judging the game with no prior knowledge or understanding of communism, you may not enjoy it as much as someone who is informed about the themes dealt with – as obscure as the interpretation may be at times. The visual narrative throughout is all that's offered to help understand the game’s universe; fortunately it does a satisfactory job shaping the world. 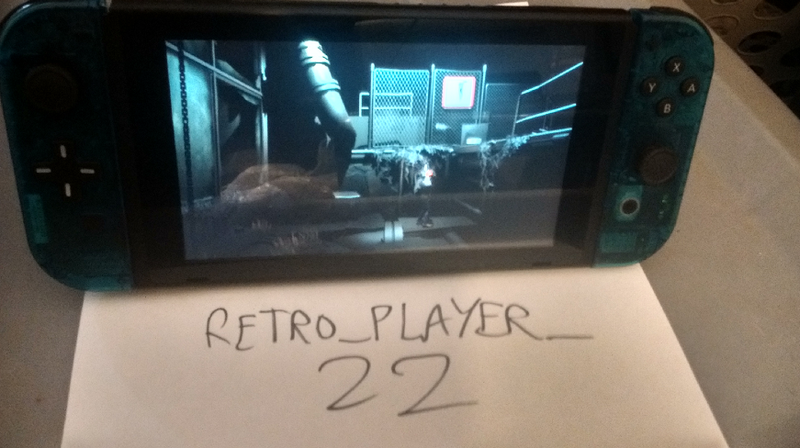 The puzzle elements are not groundbreaking, but when mixed with the platforming provide a rewarding experience that is similar to the likes of LIMBO. The major blemish is the performance and reduced visuals. The sluggish performance ultimately makes this a far less enjoyable game to play on the Switch, and the below average visuals can make it tricky to distinguish what is going on at times. If you think you can tolerate this, what is on offer is a relatively short-lived title that will make you think in more ways than one. Bad port or just Switch can't handle? @Kalmaro the switch runs doom. Is that a good answer? IF they patch it I'll give it a go. Too much good stuff that runs and looks great on the switch to take chances. Agreed. So many excellent games, there is no excuse for subpar ports. Judging from the screens it doesn't seem to me like the Switch can't handle this. It's more a case of "Let's be on the eShop for Christmas at all costs! ", which is happening with other games too. Ah, so it's a game with a heavy theme and has platform and puzzle sections, but has shoddy performance due to the porters not optimizing the game for Switch. For now, wishlist it goes... hopefully a patch and a sale will come by the time I consider it again. I play this game right now and I don't see anything wrong with it. It's a very atmospheric and puzzling experience, one that makes being alone feel surprising and exciting. Only thing I don't like is the instant death mechanic but other than that everything about the game I enjoy so far. Oh you did the dpad thing to the left joycon! seems funny to me that game devs and gamers generally understand the evil of communism in theory and in practice, all practice without fail but you can read pro-communist pieces in supposedly serious press like the NYT or WaPo. Good to see a game with a deep, intelligent and important theme. Shame about the low score though. @SuperCharlie78 Considering I play my Switch in handheld mode more so than I play in dock mode and the fact that there's so many 2D games on the Switch atm. I definitely think it's time I add a d-pad to it, after seeing Spawn Wave add his, I want one on mine too. Playing Ultra Street Fighter II and Sonic Mania in handheld mode finally feel much more satisfying now. I like the game a lot, this is my cup of tea though. This looks pretty interesting but it's definitely one of those games that I have a hard time seeing myself getting into. Looks interesting, but I heard its super-short! @SayGuh Congratulations. Your post is the most narrow-minded and downright dumbest post of 2017.